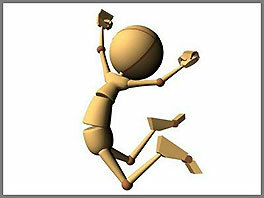 Strike Up the Band and Jump for Joy! Day Two of Pure Pop Radio’s New Music Explosion is Here! You might want to dance and jump for joy when you hear what we’ve just added to the Pure Pop Radio playlist. We’ve got a ton of new, magical sounds spinning in rotation for you; let’s get to them, shall we? 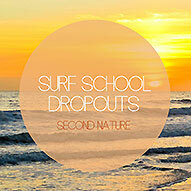 Surf School Dropouts | Second Nature These harmony happy lads from Copenhagen, Denmark have delivered what will surely be your soundtrack for the upcoming summer season: 14 luscious, melody-soaked warm weather anthems that can lift your spirits high any time of the year. We particularly want to hug songs like the jaunty “Coastline Cruisin’,” a harmony-drenched Jan and Dean and Beach Boys-vibed celebration; the pretty love song “Sarah,” a singalong number that recalls the best of the folk group sounds being heard just before folk turned into folk-rock; the wonderful, harmony showcase, “Ebb and Flow,” which would have fit perfectly on any of the Beach Boys’ mid-period albums; and the joyous, peppered-with-Motown-flavor “Wonderful Ride.” We previously added “Wonderful Ride” as an exclusive to Pure Pop Radio; we’ve now also added “Coastline Crusin'” and “Sarah,” and six other future classics: “Should Have Known Better,” “Where Have You Gone,” “California,” “This Morning,” “Interlude (Summer Rain),” and “Summer Rain.” Fans of the sound of sixties California and Matt Tyson will love these songs. We sure do. 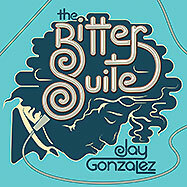 Jay Gonzalez | The Bitter Suite Drive-By Truckers multi-instrumentalist Jay Gonzalez steps into pure pop mode with this fantastic song cycle that powers itself with rock punch and a whole lot of heart. Sporting lovely melodies and a seventies sensibility, these five songs make a strong impression and practically guarantee a spot on this year’s best-of lists. We’ve added the whole lot: “Light Side of the Leaves,” “Grey Matter,” “Almond Eyes,” “Shenorock Lane,” and a song with the title of the year, “&$%@#!.” Produced by Jay and Chris Grehan (who also mixed). Quite brilliant, really. 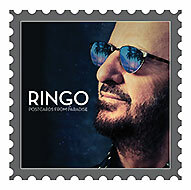 Ringo Starr | Postcards from Paradise Not that anyone needs reminding, but the beat in the Beatles came from the man who made drum fills an art, a drummer whose influence on music continues to be felt more than five decades after he first picked up a pair of drum sticks. Without his innate ability to make his drums sing with three-dimensional feel, backbeat, regardless of genre, would have developed in a completely different way. Ringo’s 18th studio album continues his tradition of recording with musical pals and letting the beat speak for itself. Postcards from Paradise is a treat–from the nostalgia-filled, melodic “Rory and the Hurricanes,” a fun trip down memory lane to the time when Ringo played with Rory Storm and his band, to the clever title song written with Todd Rundgren, which packs a bevy of Beatles song titles into the lyrics, and the rockin’, cymbal heavy “Touch and Go,” this is a treasure for both Ringo and Beatles fans. Oh, the rest of you, too. We’re playing the previously-mentioned songs and “Right Side of the Road,” “Not Looking Back,” and “Let Love Lead.” Very cool. 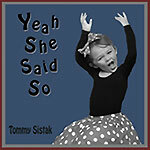 T ommy Sistak | “Yeah She Said So” and Short Songs Well, here’s what’s cooking: A new song and a new album and together they’re the holy grail of whoa-listen-to-that records that only sound like they were recorded in the poppin’ 1960s. 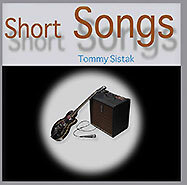 Tommy Sistak’s individual love letters to our favorite era for catchy tunes are short–mostly two minutes and change–and sweet…oh, how they are sweet! Broadly speaking, Tommy’s drawing from the sounds of British invasion bands (Beatles, check) and vocal acts such as the Everly Brothers for a catchy and oh-so-charming half hour’s worth of lovingly-crafted and performed pop music that, and we’re saying this more often than in recent times, belongs in every pop fan’s collection and should, without question, be on a whole lot of best-of lists this year. The new song, “Yeah She Said So,” released in late March, is a crowd-pleasing pop-rocker blaring a combination of thunderous drums and vocal harmonies. We’re playing the entire Short Songs collection, as you might figure: “And So It Goes,” “Be Good,” “In So Many Ways,” “Just Like Before,” “Let Her Go,” “Never Want to Be Blue,” “Ordinary Words,” “Ordinary Words (Unplugged),” “Seems Like You’re There,” “Think About Me,” “Whisper In Your Night,” and “You’ll Come My Way.” Here is your go-to, retro masterpiece for 2015. 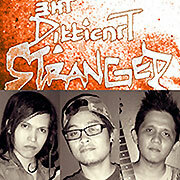 The Difficult Stranger | High School Lover We added the nearly-perfect pop song, “Fall In Love With You,” last October. The full-length longplayer is now here; you may consider us quite charmed. Michael Anthony Curan, Eboi Oca Ponce and Glenn Alonzo play an infectious brand of pure- and punk-pop that’s sure to please one and all. In addition to “Fall In Love With You,” we’re now playing “Her High School Lover,” “Honey,” and “Pawn Shop Heart.” Expect this album to explode all over the pop universe. 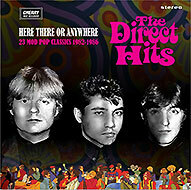 The Direct Hits | Here, There or Anywhere: 23 Mod Pop Classics 1982-1986 The much desired gene that points to ’60s and ’70s songwriting sensibilities is quite evident in the work of the short-lived band, the Direct Hits. The Hits packed a lot of quality into their relatively miniscule output–single sides and two albums–and should be known to any melodic pop fan worth his or her salt. If you’ve never heard of this band, you will by listening to Pure Pop Radio, where we’re playing 10 songs in rotation: “Modesty Blaise,” “English Girls,” “The Old Curiosity Shop,” “My Back Pages,” “Miranda Berkley,” “I Started Counting,” “She’s Not Herself Today,” “Last Time I Saw the Sunrise,” “Heat and Sun,” and “Christina.” Prepare to fall in love with a band that was in love with some very cool retro sounds. 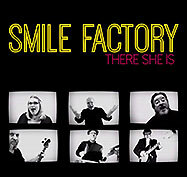 The Smile Factory | “There She Is” Sounding like it came from the jangly, poppy sixties, the Smile Factory’s super-catchy “There She Is” is the perfect earworm for any season. It’s one of those songs that you want to play again and again, and again. Written by Bill Shaouy and performed by (take a well-deserved bow, folks) Bill (lead vocal and keyboard), Brandi Ediss (backing vocals), Keith Klingensmith (backing vocals), Torbjörn Petersson (all guitars), Kyle Richards (bass), and Lee Wiggins (drums), this is a cheery confection and we’re all better off with it in our lives. More please, and sooner than later, if you will. 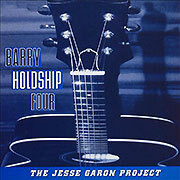 Barry Holdship | Ruff Trax and The Jesse Garon Project Barry Holdship’s two albums of musical riches run the gamut from lovely, mid-tempo ’60s pastiche (“A Fractured Lullaby” from Ruff Trax) to Jerry Lee Lewis and Elvis early rock ‘n’ roll (“Hang Me Out to Dry” from The Jesse Garon Project). In between, there is a Buddy Holly nod (with Roy Orbison overtones) (“Everybody’s Dreamin'” from The Jesse Garon Project) and a gospely slow dance, hold-her-tight number (“Give Your Heart to Me” from Ruff Trax). We’re playing the aforementioned songs in rotation, along with “Where to Go from Here,” “Stuck in Time,” “Nothing Means More than This,” and “Here With Me” (from Ruff Trax); and “All I Really Want,” “Tell Me What You See,” “Words of Wisdom,” “Twist of Faith,” and “It Hurts to Be that Way” (from The Jesse Garon Project). Throughout, Barry’s strong, expressive vocals lead the way. 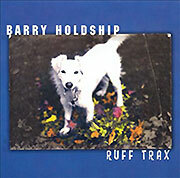 We’re glad to have Barry Holdship on Pure Pop Radio. 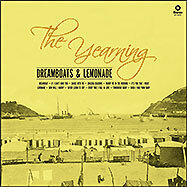 The Yearning | Dreamboats and Lemonade The only thing you will wonder, listening to the Yearning’s extremely wonderful 2014 album, is why you didn’t know about them earlier on in your music loving life. New to Pure Pop Radio, this band’s retro sound hearkens back to the romantic feel of pop music from the sixties. Every song here is top flight; in particular, the glorious girl group pastiche, “How Will I Know,” is so right on you’ll swear it’s a long-lost artifact written by some Brill Building scribe. “Lemonade,” another girl group-esque tune, swims along on a current infused with charm (and borrows from the sound of ABBA). 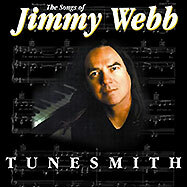 And “When I Was Your Baby” is a nostalgic ballad, looking back to a love affair now lost. From the accomplished vocals of Maddie Dobie to the inspired work of Joe Moore and other talented craftspeople, the Yearning goes directly to the upper class on Pure Pop Radio’s list of Records We Can Not Do Without. We’re playing, in rotation, the songs we’ve just mentioned and “Dreamboat,” “It’s You That I Want,” “Never Learn to Cry,” and “Tomorrow Night.” Retro and proud of it. A fantastic, truly fantastic record. Orchestral Manoeuvres in the Dark | “Locomotion” We always looked at this band, more commonly known as OMD, as a pop band, although we’d bet we could run into a lot of people who might disagree. 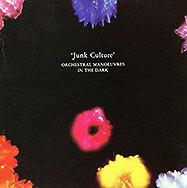 Nevertheless, we stand by our contention, and offer this poppy number from the band’s Junk Culture album as proof. Catchy, with a decidedly Paul McCartney-esque traveling bass line and an infectious melody (not to mention a nifty beat), “Locomotion” is just the first addition of an OMD track to our playlist. Many more to come. “Secret,” anyone? Yep, that one’s on its way. How is that for day two of our New Music Explosion? Pretty explosive, huh? We hope you enjoy all of the new songs and artists we’ve added to the Pure Pop Radio playlist in the past couple of days. And remember…there are more than 6,500 other tunes playing in rotation. You’re sure to love every one of them! Simply click on one of the listen links below and sing along if you know the words! 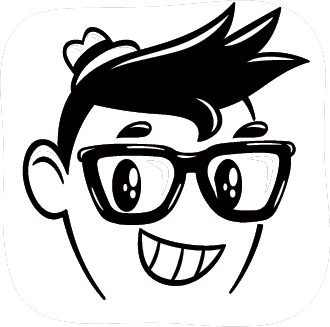 We’re Pure Pop Radio, the original 24-hour-a-day melodic pop music radio station on the Internet. We never close! This entry was posted in It's a Pure Pop Radio New Music Explosion! and tagged 5th dimension, alan haber, barry holdship, glen campbell, jay gonzalez, jimmy webb, new music added to the pure pop radio playlist, omd, orchestral manoeuvres in the dark, pure pop radio, ringo starr, strawberry children, streamlicensing, surf school dropouts, the difficult stranger, the direct hits, the smile factory, tommy sistak. Bookmark the permalink.